What Think Ye of “Noah” The Blockbuster Film? 1) I was surprised at how much the flood story was set in the larger context of creation-fall-new creation. I expected the movie to disconnect the Noah story from the larger biblical narrative, but there were frequent references back to events narrated in Genesis 1-5, especially the fall of Adam and Eve. In fact, the film opened against this backdrop, and throughout there were frequent flashbacks to a serpent, fruit being plucked, and Cain killing Abel. At one Adam and Eve themselves are visualized plucking fruit. All of these elements were taken seriously. At the same time, however, it felt like the film downplayed the covenantal thrust of the story. In the Bible, the significance of the flood story is specifically tied to the goodness and character of God, and his continuing purposes in redemption. For instance, God’s speech to Noah is covenantal and clear, not cryptic and eerie (for example, God, not Noah, interprets the significance of the rainbow). Thus while the film captures something of the broader biblical themes of creation and sin, its portrayal of God’s decisive redemptive activity is less clear. 2) Many Christians have voiced concerns about how much the movie allegedly deviates from the Bible. In a few places I share these concerns, but more often I find them too alarmist. In the first place, Noah was not made by Christians. Why do we expect biblical fidelity from Hollywood? It seems to me that texts like I Corinthians 5:9-13 have relevance for the way we should evaluate movies made by believers vis-à-vis movies made by unbelievers. I find the deluge of Christian support for God’s Not Dead and the torrent of Christian disapproval for Noah to be a bit perplexing. Shouldn’t we be stricter in judging ourselves? While we should be discerning in our cultural posture, we shouldn’t be defensive. That said, in my opinion some of the film’s imaginative additions warped, rather than targeted, the original meaning of the biblical account. The biggest example was the rock people. They changed the whole feel of the movie. During the fight scene (another strange addition) I felt like I was watching something in the genre of Transformers. There was no need to do this, and it felt awkward: like a painter whose materials don’t line up with the kind of painting he wants to make. So while I don’t have as much theological concern with the film’s imaginative additions, I didn’t always feel they were artistically compelling. 3) I thought the movie started slowly, and its special effects were not as good as I expected from the hype. Purely in terms of entertainment value, I probably would not have found the film particularly interesting if I was not already interested in its topic. Good acting, though. 4) The best part of the film was how seriously it took human evil and divine judgment. So often secular treatments of the flood of Noah are contemptuous and sneering about the idea that God would wipe the planet clean and start fresh (e.g., Bill Maher). But this film took with absolute earnestness the idea that human beings are evil, and that it is potentially just for God to wipe almost all of them out. At one point Noah says something like, “we broke the world. We did this. Everything that was good we shattered.” Surprisingly, it felt like the film’s creators were sympathetic to the idea that God might justly kill off almost all of humanity. They took the story seriously and sought to grapple with its message, not poke fun at it or rage against it. I was grateful for that. 5) I think the film would have been able to make a more realistic portrait of the flood if it had portrayed it as local, not global. In my opinion, a global flood is an unnecessary and extremely burdensome prospect even to envision. It’s not required by the words kol erets (whole earth/land), which far more frequently refer to a local area in the Old Testament—for example, we are required from I Kings 10:24 to believe that Eskimos journeyed from Siberia or the Mayans sailed across the Atlantic to meet Solomon? Moreover, a global flood raises insuperable difficulties, like how you can fit 7-9 million different animal species on one ark. It’s not necessary to affirm this, and its impossible (for me, anyway) to even envision what it would be like. Did Kangaroos get miraculously transported from Australia to the Middle East? Did all the species specific to Madagascar all migrate together? If you are going to portray the flood as global, then you need to board up about 16 million animals on the ark (two of each kind). The film did not have nearly enough animals to accord with a global flood. Where were the arctic wolves? Where were the spider crabs? Where were the flying squirrels? And so forth. 6) I was okay with the fact that the film did not portray Noah or his family as completely innocent, since the Bible does not portray Noah this way, either. When Noah asks his wife, for instance, what really makes them any better than those perishing, one can appreciate the realistic grappling with the complexities of good and evil amidst universal sin. Nevertheless, I felt the film greatly overplayed Noah’s moral and psychological dissolution on the ark and after, as well as his conflict with Ham. His choice to let Ham’s girlfriend in was also troubling. After all, despite his flaws, the Bible still says, “Noah was a righteous man, blameless in his generation. Noah walked with God” (Genesis 6:9). However, let’s be clear: the film does not portray God as wanting Noah to kill his grandchildren, as some have claimed. This was Noah’s faulty interpretation of God’s will. God Himself never says this, and the film ultimately undermines this idea by suggesting that the very reason God chose Noah was because he wouldn’t kill them. The ending of the film portrays Noah more positively, reconciling with his family and blessing his granddaughters. 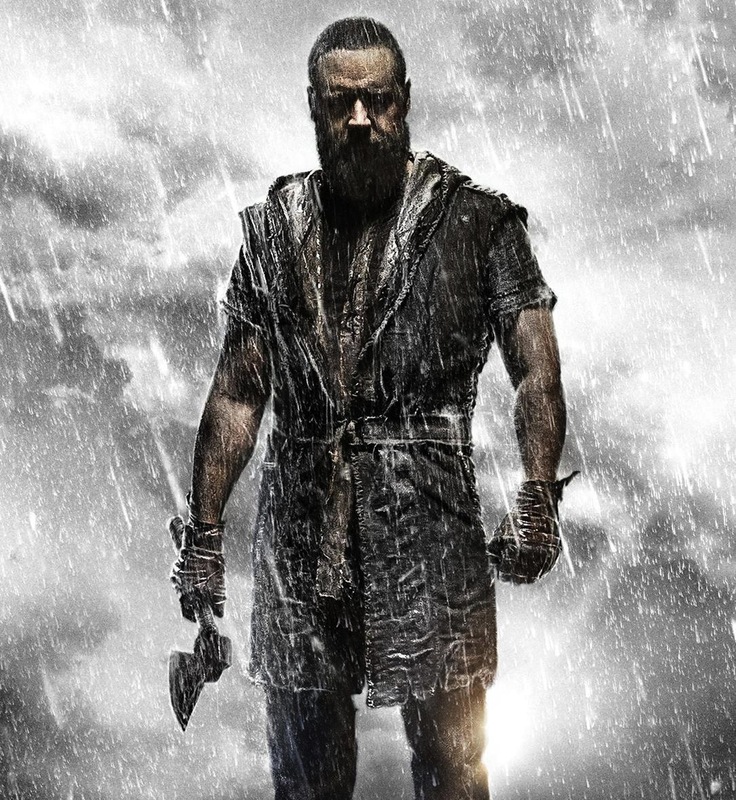 Overall, the film’s portrayal of Noah was disturbing at points, but partially redeemed by the conclusion. Also, another point of clarification: Some Christians have claimed that “the film never talks about God.” But that is misleading. The film talks about God all the time, it just refers to Him as “the Creator.” And I don’t really see what’s so big a deal about calling Him “the Creator” rather than “God” or “the Lord,” especially since the story takes place in primeval history. If someone objects to that terminology, they should at least make clear that it’s an issue of terminology, not the presence of God in the story. 7) I thought the film’s creation account, narrated by Noah soon after they are enclosed in the ark, was interesting and compelling. This was another example of where the film took imaginative liberties, but I didn’t feel they were intended to subvert the integrity of the biblical account. 8) Some Christians have voiced concern over the film’s “environmental agenda.” I didn’t really get that message from the film. It seemed to me that the dominant theme in the film’s depiction of the flood was divine judgment on human wickedness. To the extent that others saw an “environmental agenda” in the film, I wonder if they might be a bit over-sensitive in their reaction to excessive contemporary environmental activism. The idea that God cares about his creation, and the animal kingdom in particular, isn’t first a “liberal” idea, but a biblical one. Isn’t that one of the most basic points of the flood story, where God enters into covenant with all the animals (Genesis 9:10)? 9) Overall, I think the film has value as a tool for starting important conversations. Many people may leave the film with heightened interest in the Bible, and specifically its teaching on creation and sin. Where it falls short, it does so roughly in the ways you would expect from a movie made by people without any faith commitment. The fact that it portrays the notion of divine judgment sympathetically is a significant merit. If nothing else, it may direct people read Genesis 6-9 with greater attention and curiosity—which is a good thing. About Gavin Ortlund, I agree with his comments. However, on point 5 I strongly dissagree. I encourage him to read “The Genesis Record”, by Morris. Hi Eddie, Thanks for your comments. I read the Genesis Flood by Whitcomb and Morris years ago and have read other recent writings…It’s one of the issues I’m looking forward to finding out exactly how it happened when we get to Heaven one day (if it even matters then!). However, I lean towards your view and Morris’ view as well.